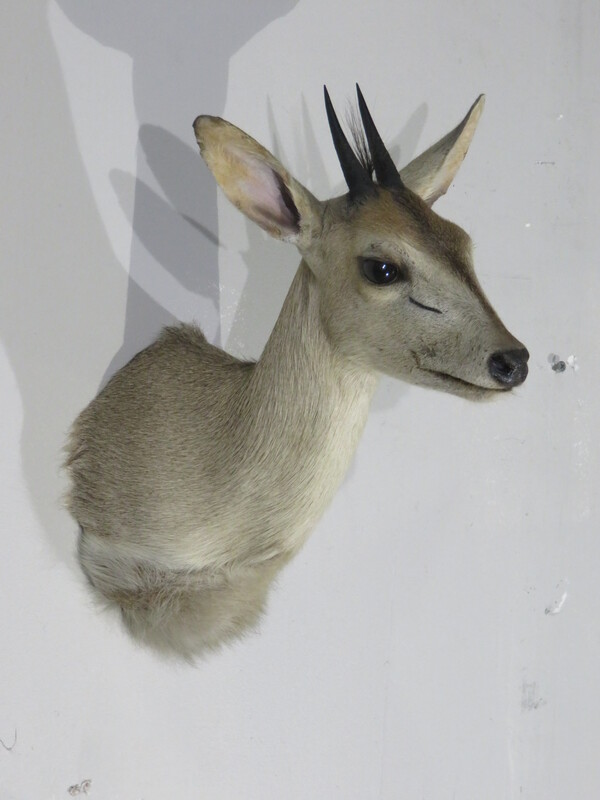 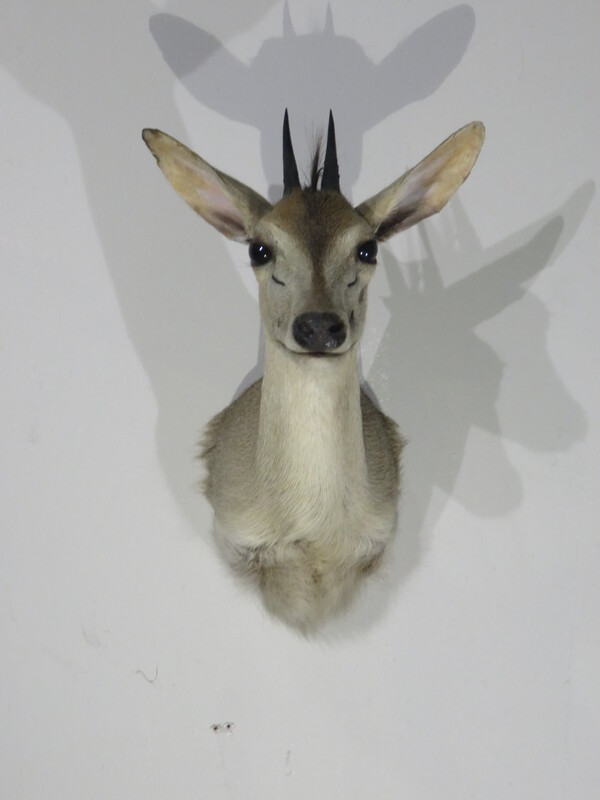 This is a Grey Duiker mount from Africa. 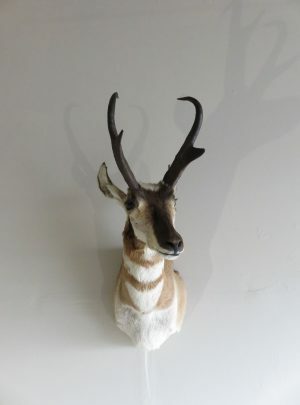 He has a nice pose with head up, looking forward into the room. 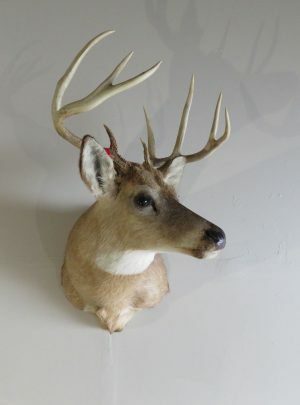 This is a nice sized buck and he has good horn size for the species. 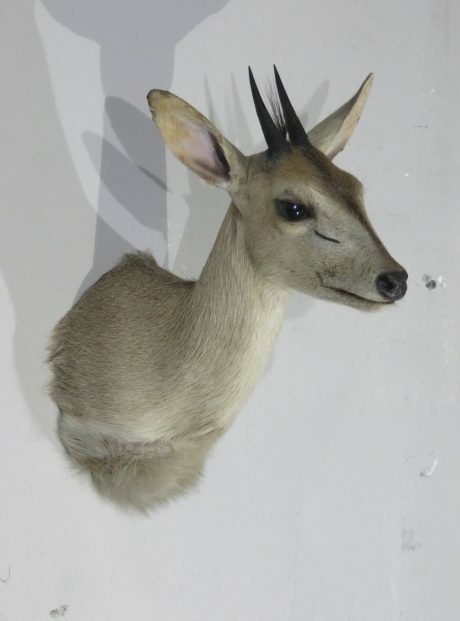 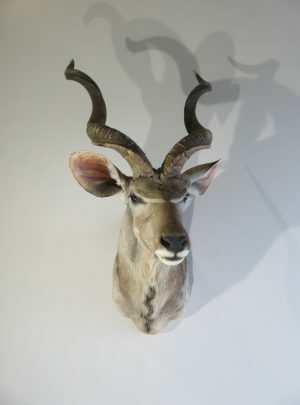 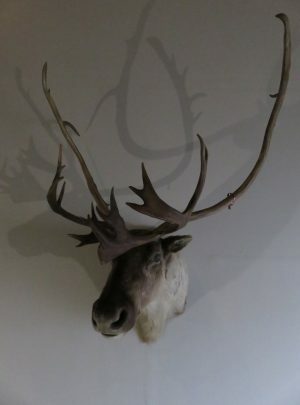 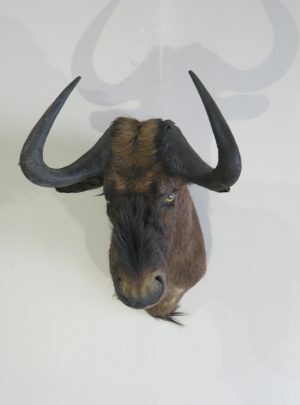 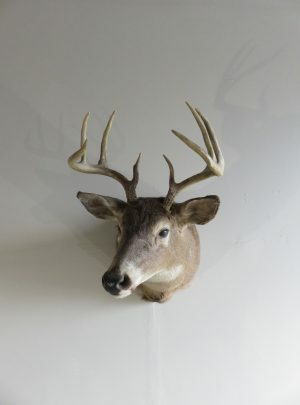 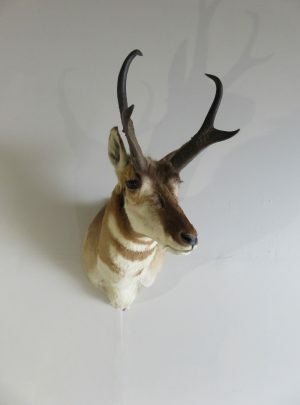 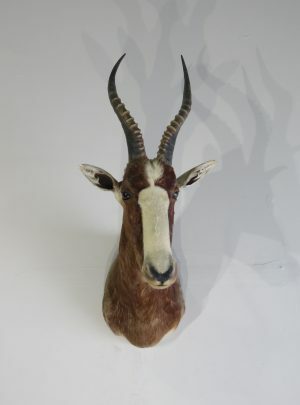 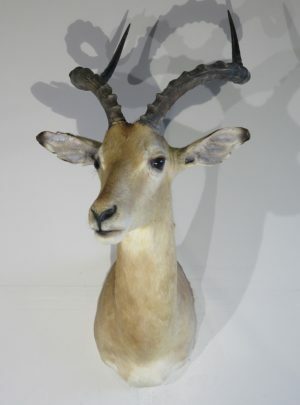 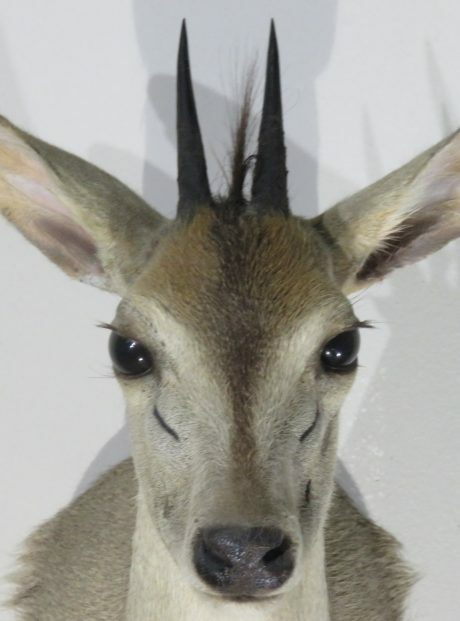 Excellent workmanship on taxidermy as well as good subject matter with nice horn size, earn this mount a rating of “Excellent”. 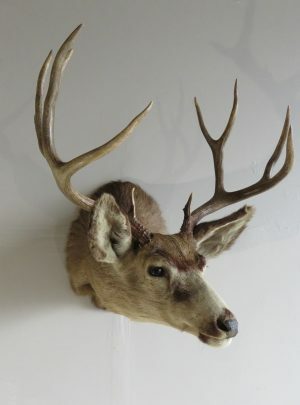 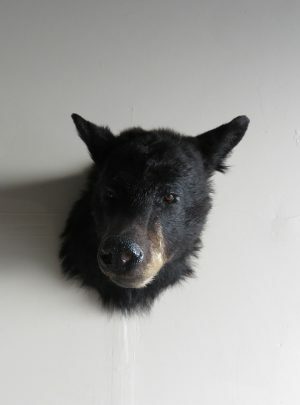 Overall mount size is 13″ deep (from wall extending into the room) x 16″ tall x 10 inches wide. 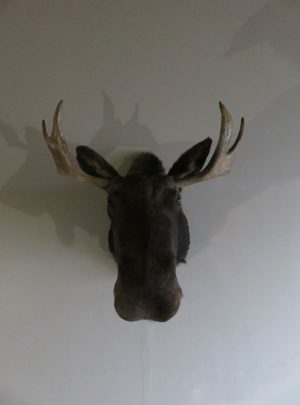 Mount hangs on a single well-secured screw. 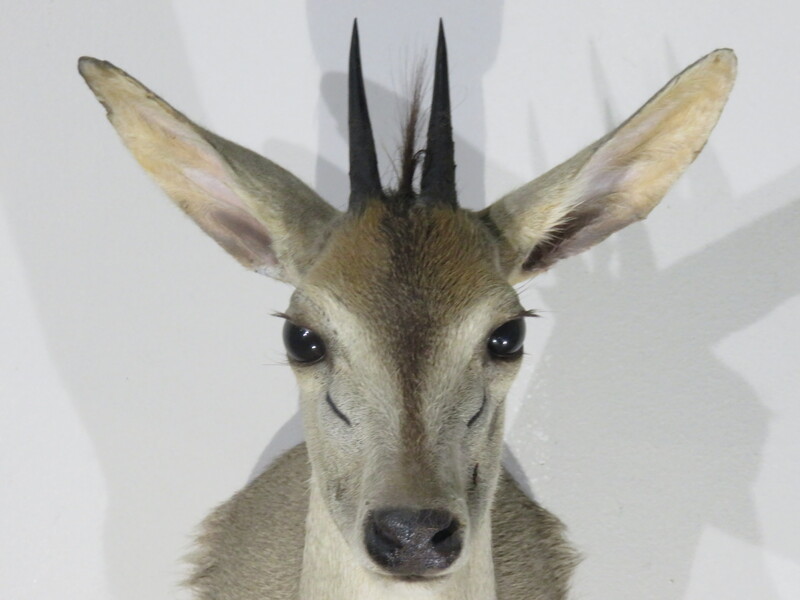 Horns measure 3″ and 3 1/8″ long with each having a circumference of 1 7/8″. 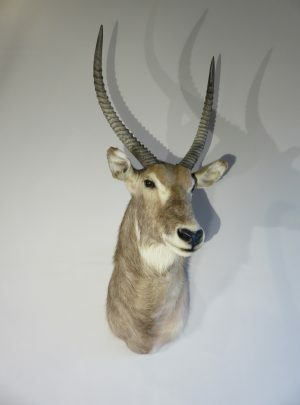 Good horn sizes (for this species), but misses the medal class for SCI scoring. 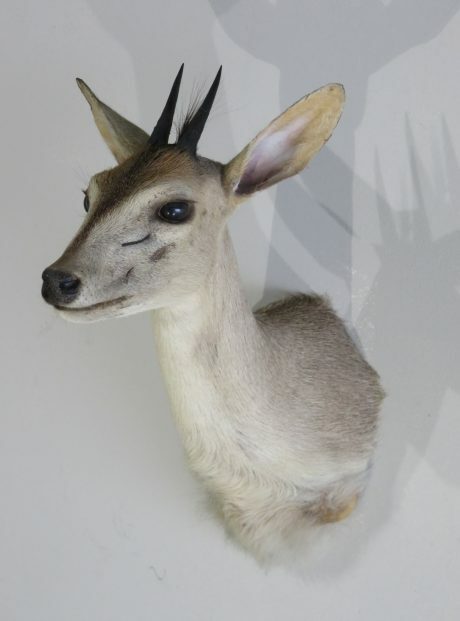 Being one of the smaller African species of game, the duiker lives in the savannas and relies upon quickness to elude predators. This grey duiker would make a great compliment to the Africa collection.